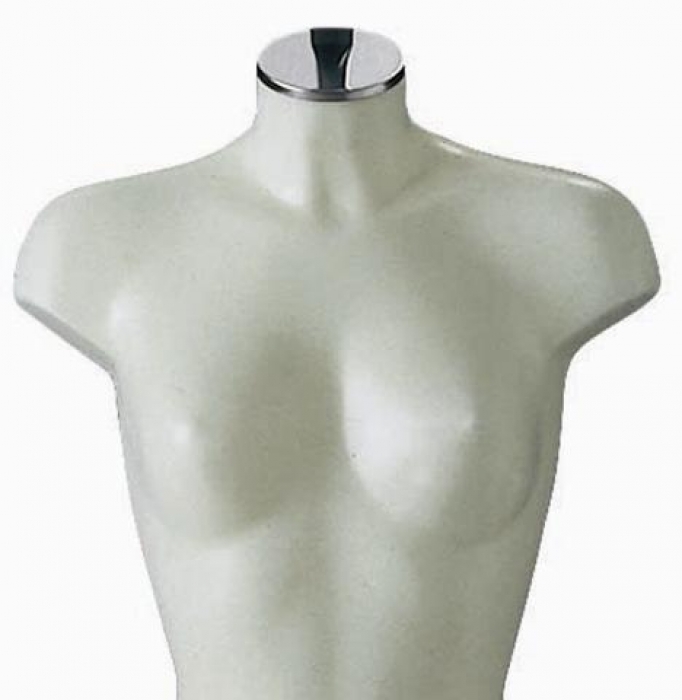 A budget female opal white plastic half bust torso designed for freestanding displays on counter tops. Ideal for merchandising fashion attire including t-shirts & sleeveless garments. Superb value for money, easy to display as a shop window display, on shelves or counter tops. Price excludes neck cap.